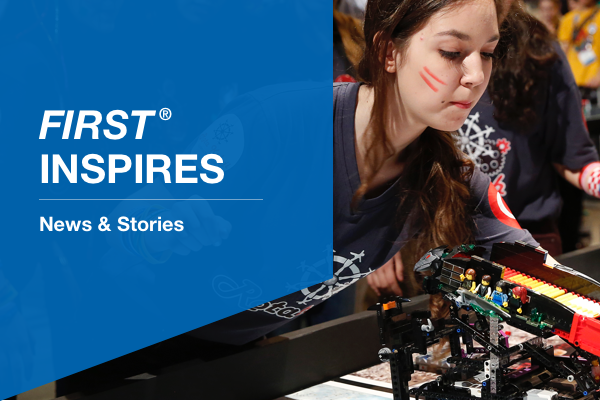 The 2018 FIRST® Championship Presented by Qualcomm® Incorporated will bring 65,000+ students, coaches, and supporters across two cities — Houston (April 18-21) and Detroit (April 25-28) — in the ultimate celebration of science and technology. The event is made possible by the generosity of FIRST sponsors and promises an inspiring and action-packed experience that has all the heart-pounding thrills and team spirit of a professional sporting event. A front-row seat to FIRST Championship is just a click away. You can catch all the action on the FIRST Twitch Channel beginning April 18. Before the event, meet teams live on April 13 and April 14 at 7 p.m. ET. Follow FIRST on social media and encourage the whole #STEMSquad to join the #FIRSTChamp conversation. The FIRST Store is your source for authentic FIRST merchandise made exclusively for the FIRST #STEMsquad. Choose from the newest gadgets, apparel, and accessories featuring your favorite programs and, of course, limited edition FIRST Championship must-haves. The collection will be available onsite in Houston and Detroit. Check the app for the nearest location and hours. Not attending? You can still get FIRST gear on the FIRST e-store. Stay up to date with Championship event news and activity schedules on the FIRST Championship website presented by Quicken Loans. Or, download the FIRST Championship app presented by Bechtel to stay connected on-the-go with personalized program schedules, interactive maps, alerts, and more. FIRST is pleased to provide travel discounts for all members of the FIRST community traveling to FIRST Championship. Discounts are available in Houston and Detroit for hotels, ground transportation, airfare, and car rentals.